U.S. Vaccine Court: Kangaroo or What? The last sentence I emphasized, I think, truly applies to the U.S. Court of Federal Claims, Vaccine Claims/Office of Special Masters. Why would I think that? Well, many reasons come to mind, but probably the most significant is the fact that a majority of damaged vaccinees have their claims denied, which was not the original intent of the 1986 Congressional action taken, i.e., to provide proper care for those damaged by vaccines. swift—Hah! Nothing is swift at the vaccine court. The average time is 2 ½ to 3 years. Less adversarial alternative than civil tort litigation—talk to those who have gone through the vaccine court, and really listen to their sad stories. As a result of Public Law No. 99-660, 100 Stat. 3755 (1986) (codified as amended at 42 U.S.C. §§ 300aa-1 to -34), the feds collect a tax on each vaccine dose sold, which is placed into a ‘supposed trust fund’ to pay out claims. Would you please direct me to where I can obtain the current asset balance of the Vaccine Excise Tax Trust Fund that funds the HRSA / Vaccine Court awards. I can find the amounts of awards paid out over the years, but I’m having difficulty in finding how much has been paid into that Vaccine Excise Tax Trust Fund since its inception, over the years, and what its current asset value is/was as of the 2014 or 2015 fiscal year. Thank you for your assistance and considerations to my request. I don’t think I will get an answer by the time I publish this article—or ever, but whatever answer I receive, I will share with my readers. My feminine intuition prompts me to think the dollar value has to be close to $50 Billion, but who knows. I think the U.S. Treasury does, as they probably leverage the trust fund’s assets to offset some other federal spending—perhaps “black ops”? or “off-balance-sheet budgets”? . Could it be that maybe that’s why the rejected-to-paid vaccinee awards/claims are close to 3 rejected for every one paid? I don’t think that’s what Congress intended originally. However, I’m not the only one who seems to be asking questions. Andrew Zajac of BloombergBusiness wrote an article March 18, 2015, “Vaccine’s Court Tough Standards May Face Supreme Court Test” wherein he states, and also provides a U.S. HHS chart, that “Vaccine Court Rejects Most Claims,” something I’ve questioned as being unfair, not equitable, and possibly ‘prejudiced’. Why? Because of procedures and how the vaccine court is set up—seemingly, in my opinion, ‘stacked’ in “consensus science” that vaccines are not capable of causing damage, plus compounded by the fact that there is no jury of peers—just “Special Masters” who, I think, may have to maintain quotas in favor of vaccines not causing damage. However, the CDC’s VAERS reporting system has hundreds of thousands of adverse reactions reported regarding health problems resulting after receiving vaccines/vaccinations. Regarding those who have adverse reactions, we need to consider what has happened to young women who have had their lives dramatically changed for the worse after receiving the HPV vaccines Gardasil®/Cervarix®. Many have been referred to as “Gardasil Girls”. SaneVax is a vaccine-safety-advocacy group that tracks HPV vaccine problems, adverse events, girls’ real-time stories, and HPV-vaccine-attributed deaths. Vaccine damage is not just a swollen arm or fever. Having said the above, I don’t know what SCOTUS will do about revisiting the Vaccine Court, since I think too much politicking is involved insofar as any reversal of the opinion that vaccines are not effective and cause severe health problems and even life-long damages—as HRSA payouts support, plus probable future chronic diseases—the Pharma House-of-Cards would implode—and rightfully so, as it should—and the U.S. Treasury could be out a lot of ‘hidden assets’, I contend. Even though the Vaccine Court awarded $1Million and annual payments for his care, the U.S. Justice Department challenged it saying there wasn’t sufficient evidence to support the award! Therein is the horrific injustice of the entire vaccine/vaccination paradigm. If perfectly healthy children are damaged by federal compulsory vaccinations enforced by 50 state laws, then damaged vaccinees should get compensation from the feds, their respective states, and Big Pharma. Below are some dramatically graphic examples of vaccine damage—be forewarned! Now, some photos of vaccine adverse reaction/damage taken from the CDC’s own webpage. Numerous toxic chemicals and neurotoxins in vaccines should not be injected into a newborn, infant, toddler, teen…or anyone. No studies have been done on the biochemical interactions of vaccine ingredients in multivalent vaccines or when numerous multivalent vaccines are administered at one time! How do they affect an infant’s mitochondria? If it’s thought that one in 2,000 people in the USA have mitochondrial disease proclivities , then why aren’t tests administered prior to vaccinations so as to determine which children should NOT receive vaccines that would activate a mitochondrial reaction? Good question? Parents should start asking their pediatricians for such tests, I think. Man-made chemicals cause damage in the body. If Big Pharma’s products cause damage, but Congress still gave them a “get out of jail free card,” then either the Vaccine Court needs to be more damaged-vaccinee-friendly OR Big Pharma, those who administer vaccines (MDs, RNs, pharmacists, etc.) should be made to pay for those damages and life-long care! Too many children are being damaged by vaccines! Furthermore, neither the vaccine court nor SCOTUS should play the “not-sufficient evidence” card either. Both SCOTUS and the Vaccine Court must reject Big Pharma’s “consensus science” and use actual, factual biochemistry science. There’s a difference. One is science; the other is a dogmatic ‘religious-like belief’. Guess which is which. Humans—and children in particular—have been given and are exposed to, so many man-made chemicals (especially vaccines very early in life) following World War II when the USA brought over Hitler’s scientists in Project Paperclip [12, 13, 14], that the “jury is now in” and the verdict obviously is none other than apparent deliberate chemicalization for some specific reason(s). to advance technology into a field known an transhumanism where humans would become long-living bio-machines whose DNA and minds are controlled by the elites of the world. Does that sound crazy? Heck no! Here’s some information to chew on about transhumanism: “What is transhumanism, or what does it mean to be human?” , “Top Ten Transhumanistic Technologies” , and “Epigenetic side-effects of common pharmaceuticals: a potential new field in medicine and pharmacology” . Can ‘necessary’ epigenetic side-effects be a reason for everyone—especially children—taking so many pharmaceutical drugs? Are children the mechanisms utilized to reprogram human DNA to implement transhumanism? 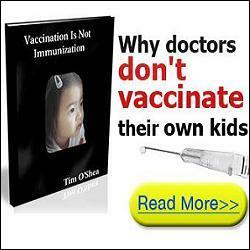 Is that the real reason for what’s going on with the incessant push for more and more vaccines when, in actuality, they really don’t provide immunity, as we are seeing outbreaks in highly vaccinated populations? Even radio expert-MDs are saying now that some vaccinated persons will contract the diseases they are vaccinated against. A different spin has to be given about vaccines, since it’s becoming apparent and obvious—vaccines don’t really provide ‘herd immunity’. 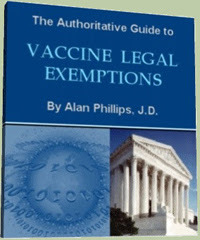 There ARE legitimate and serious philosophical, religious, and medical reasons to reject vaccines, especially for those whose beliefs emanate from the “body being the Temple of the Holy Spirit”; that the body is a human’s most personal possession over which no one should have final say—do you have a “Living Will” ; plus certain human rights issues expressed in the U.S. Constitution and other documents like the Nuremberg Code . Every parent and individual needs to consider what’s involved in totally toxic chemicals in vaccines , and the probabilities of their child or themselves winding up looking like some of the poor vaccine-damaged individuals in the photographs above. There’s more involved in vaccinations than meets media hype and pharmaceutical propaganda, it seems. Educate before you vaccinate. You really don’t want to land in Vaccine Court, do you? Be the first to comment on "U.S. Vaccine Court: Kangaroo or What?"